The business world is changing with innovations and changing regulations. More departments lead to more complications. Yet everything is interconnected from sales, product management, manpower distribution to digital marketing and investment. Hence, to build an internal software to track all the happenings has become mandatory for a quick access to information and narrowing down on a decision. We come up with easy-to-use and comprehensive software application development services in India, keeping your business model in consideration. We coalesce your internal business requirements with responsive and all inclusive software development in India to ensure seamless management and coordination with customers, suppliers, internal team and investors. BI report is our Unique USP. 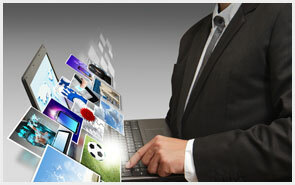 As a professional software development agency, we offer web services and API integration services. We have brainstormed and delivered custom application development solutions after offering iterations of quality analysis, bug fixing and other core parameters. We also support client installations to implementations and further maintenance.